Situated on the quiet community of Seasons, this fabulous villa is just 8 minutes from Disney. Off Oren Brown road Lake view with fountain .just 1 minute from Wal-mart. The location couldn't be better for all that Orlando has to offer.Newly painted and refurbished in May 2018 We have provided a home away from home with luxury furnishings and quality linen. Fully equipped games room. This villa is decorated with an animals of Africa theme. You can sleep with the Zebras and dine with elephants. There is a Nemo room too for the kids. Extended patio area with heated pool sun loungers and patio furniture. Brand new top of the range hot tub.The pool has child proof fence too if you are worried about children's safety. There is a crib , highchair and stroller provided for the little ones. This massive corner lot provides a secluded pool area and massive driveway. . Outside deck lighting use the pool even in winter. This really is a villa with everything! Guestbook comment: Our Best Florida Vacation! We owned a timeshare in Orlando for 10+ years and staying here far surpassed our stays there. Lynda is an absolute gem to deal with - always fast to respond and always pleasant. We were a family of 5 and decided to use the home by ourselves this year. The location is excellent - no attraction is more than 15-20 minutes away, and there is so much within 1-2 miles as well. The fact that Walmart is within walking distance means food and supplies are close and cheap! The Home is beautiful, the neighborhood is quiet and it feels like you're at home. The pool is perfect for our kids and of course the hot tub was a joy to have at the end of the day. We were all very sad to leave. Just one thing sooo near to Disney... well one other near to wal-mart too. With fluffy white towels and quality fittings these bathrooms are both spacious and clean. They are all themed with animals in mind. There are 2 leopard bathrooms, a zebra and a African themed bathroom. Taking a shower has never been such fun. The king sized master has a massive corner bath. If you have a pet you are welcome to bring him with prior arrangement. $10 per night. Fully fitted kitchen and laundry with attention to detail. Decorated and maintained to the highest standard. You can bring your pet too by prior arrangement. We also can provide the following for hire pool heat $25 per night Full size crib $75 per week Toddler bed $75 per week Pay n play $50 per week Single stroller $45 per week double stroller $70 per week Baby monitor $40 per week stair gate $40 per week Highchair $45 per week Rollaway bed $55 per week Infant car seat $65 per week Elite mobility scooter $165 per week Executive mobility scooter $185 per week wheelchair $75 per week Gas grill with a double burner and full tank of propane $70 per week Carpets cleaned every 6 weeks and maintenance after every guest. Professional cleaning team and 24 hour emergency management. Very nice property close to the Disney parks. So much better than staying in a hotel. Plenty of room for my family. The place is such a great location to do all the cool stuff! We had a little problem with the pool being heated when we got there like we paid for, but owner contacted management company for us and it was resolved as soon as she knew we had a problem. The house shows some signs of wear and was somewhat dated, but everything in the house worked fine. If the beds had been more comfortable, it would have been a solid 5 star! We had nine people and it was plenty of room to not feel cramped! We cooked a couple of meals, but you are literally so close to stuff, we chose to eat out most of the time.... we had a great time! The kids loved it so much they forewent the beach to stay and play two days of the trip. Thanks for a great stay! Owner was very responsive to any questions or concerns! House was clean and stocked well! The location was great as well!! A wonderful property for a family. 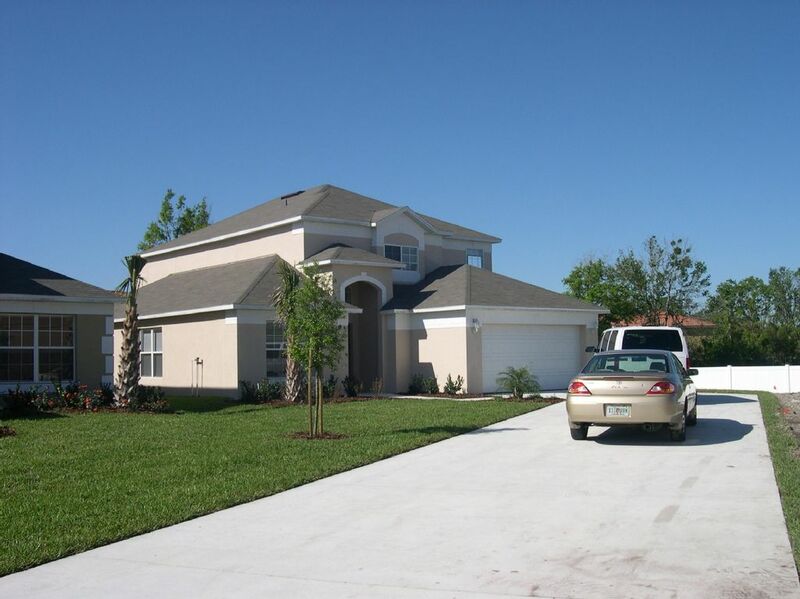 Close proximity to Disney, we truly enjoyed our stay at this property and would definitely return on our next trip. Wonderful home ! Will be staying here again. Even nicer in person! Quiet corner home, extremely spacious and comfortable and fun for all ages!! We selected this home for our thanksgiving reunion. From the moment we walked in, it just felt like home! Themed rooms excited the young ones and the heated pool was perfect for chilly afternoon dips! BBQ was great and kitchen was spacious. It really was a perfect fit for us and we are already planning our next year gathering. Very private, quiet corner unit with lots of parking space in the driveway. Thank you Lynda and the management team for being there every step of the way, even on a busy holiday!!! Big hug! Simply one of the best VRBO experiences we’ve had. Seasons is a quiet community of 50 executive homes. Each has its own individual style and charm. There is a small lake where you can feed the ducks and watch the sunset. The children's playground is at the entrance to the community. Walmart and an abundance of shops are within a 1 minute drive. With delicious food just a short distance drive and Medieval Times within walking distance you will never be short of things to do. Walt Disney World is an easy 8 minute drive. So close you can hear the Epcot Fireworks. Universal Studios and SeaWorld a 15 - 20 minute drive and shopping malls all around. Other Activities: 1 minute drive away airboat ride to see the alligators and turtles. Golf: Florida is well know n for fabulous golf course and there are lots to choose from all around Kissimmee. Don't forget Disney has golf courses too and they are around a 10 minute drive away.